The Northern California area is known for a lot of things, and one of those things is the excellent golf courses that offer stunning views of the ocean. If you are interested in golfing, check out some of these popular golf destinations that you can enjoy during your time here. 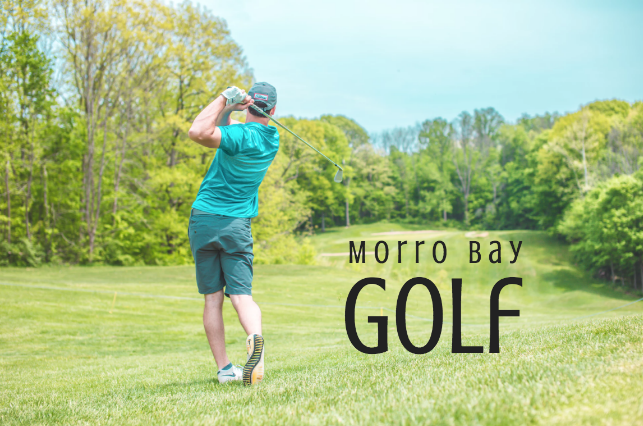 A round of golf at Morro Bay golf course consists of well-kept fairways and greens that you are sure to enjoy. The course is fun, and the greens are known to be a good challenge that is sure to keep you on your game. In addition to the fun course, you’ll also be greeted by impressive views of the ocean and beautiful views of the area throughout. Expect friendly staff who are happy to help with any questions or issues you may have. For 18-Holes, pay just $45 on weekdays. Visit the website for more information. Another fun golf course for you to enjoy can be found at the Chalk Mountain Golf Course. If you are up for a fun challenge, this is the place for you. The course will keep you on your game but isn’t anything too tricky if you have some experience golfing. Additionally, the course offers all new GolfBoards! Say goodbye to bulky carts and hello to GolfBoards - easy to ride, electric scooters that will easily carry your clubs throughout the course. If you’re looking for something for both the accomplished golfer as well as the beginner, then look no further than the Laguna Lake Golf Course. This location is known for being a family-friendly center where you and your kids can both enjoy a day at the golf course. You can make reservations for tee times online or by calling (805) 781-7309. Additionally, they also offer individual Family Plans where you and your family can get discount tickets! Afterward, grab a bite to eat there at the golf course or visit the Laguna Plaza, located right across the street, that offers an assortment of restaurants to choose from.